Are you looking to market to those in a competitive yet spread-out industry? You’ve found a great resource for marketing within the transportation industry: Bookyourdata.com’s extensive, premium, easy-to-use contact database. Find full contact information and start marketing today. 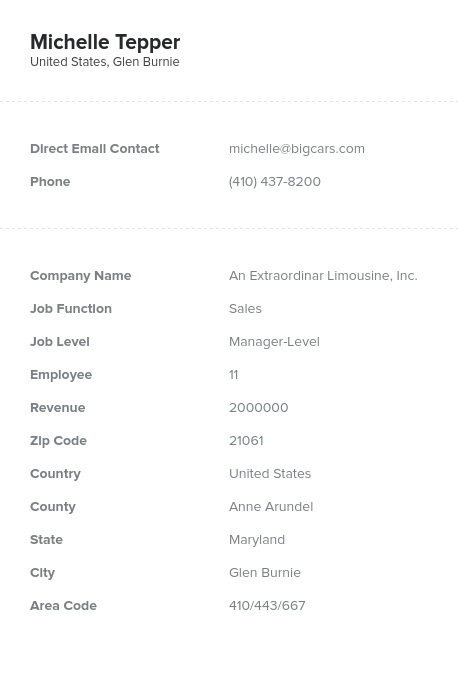 Look up the constantly moving and evolving professionals in the transportation industry and find the contact information you need to make stronger business-to-business (B2B) connections. With this extensive directory of contacts, you may find those working in a trucking company, dispatching from a warehouse, engineering rail equipment, freight forwarding agents, brokers or managing a fully functioning transportation company. Find the people within the transportation world today and get one step closer to generating more sales. Whether you plan to market a specific piece of heavy equipment or tool, to network with the movers and shakers within the industry, or to see who might be interested in moving your company's product, this list is a great way to get in touch with those who may be miles apart. Pull this list today and you'll be able to find the emails, phone numbers, fax numbers, addresses, and names of many different professionals. Contact them today using this directory, which is ready for you to download and integrate into your CRM now. You can either use this pre-built data product or try our build-a-list tool to make your own lead list. Either way, you'll be viewing our verified contact information, which is backed by our accuracy guarantee. Try it now!